LOS ANGELES — Two men pleaded guilty Thursday morning to a 2011 beating at Dodger Stadium that left San Francisco Giants fan Bryan Stow brain damaged and disabled. Defendant Marvin Norwood, 33, pleaded guilty to one count of assault likely to produce great bodily injury. CBS Los Angeles reports that he was sentenced to four years in prison. Co-defendant Louie Sanchez, 31, saying he kicked and punched Stow, pleaded guilty to one count of mayhem that disabled and disfigured the victim. He was sentenced to eight years. As part of the plea agreement, all other charges against the pair were dropped. Both were sentenced after Judge George Lomeli heard victim impact statements. 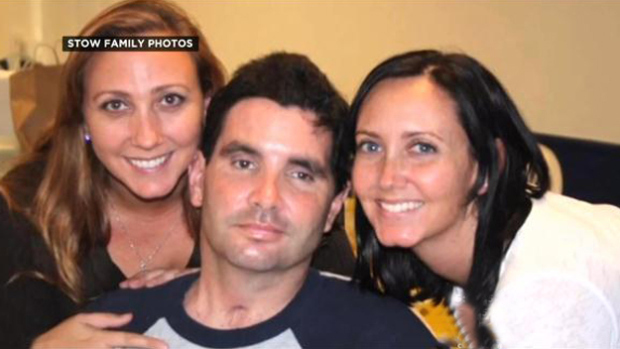 Stow, a 45-year-old paramedic from Santa Cruz who attended the 2011 opening day baseball game in Los Angeles between the Dodgers and the Giants, was beaten nearly to death in a parking lot after the game. He suffered brain damage and is permanently disabled, requiring 24-hour-a-day care. According to CBS Los Angeles, Stow’s two sisters also spoke, with one reading a statement from the victim’s wife. The beating prompted public outrage and led to increased security at Dodgers' games. A civil suit by Stow is pending against the Dodgers organization and former owner Frank McCourt. Sanchez and Norwood, both of Rialto, were arrested after a lengthy manhunt that briefly involved the arrest of an innocent man. The two acknowledged their involvement during a series of secretly recorded jailhouse conversations. Norwood was recorded telling his own mother by phone that he was involved and saying, "I will certainly go down for it." The words the two men spoke in a jail lockup, unaware they were being recorded, were played at a preliminary hearing as they were ordered to stand trial on charges of mayhem and assault and battery. In a 12-minute conversation, Sanchez acknowledged he attacked a Giants fan, and Norwood said he had no regrets about backing him up. "I socked him, jumped him and started beating him," a transcript of the conversation quoted Sanchez as saying. He also apologized to Norwood for dragging him into the fight. "That happens, bro," said Norwood. "I mean, what kind of man would I have been if I hadn't jumped in and tried to help you." Witnesses at the hearing said Sanchez taunted Giants fans throughout the game. Two witnesses who attended the March 31, 2011, game told of being bothered by Sanchez, who was throwing peanuts and spraying soda on a woman in the bleachers. His sister testified that Sanchez was drunk. Corey Maciel, a fellow paramedic who came with Stow from Northern California to cheer for the Giants, told of seeing his friend attacked and throwing his own body over him to prevent further harm. "As soon as he was punched, he was unconscious and fell back on his head," Maciel testified. "He was unable to brace himself. I saw his head bounce off the concrete. I heard the crack." The assailant then kicked Stow in the head at least three times and again in the torso, according to the testimony. Maciel said he heard profanities and one person say, "(Expletive) the Giants. That's what you get." Last spring, Stow returned home after two years in hospitals and rehabilitation centers. His family said he requires constant physical therapy and remains severely disabled.